One of my favorite parts of the Holidays parties is dressing up, investing in something fancy and elegant. Today I bring another idea to embrace this month - a "trendy outfit", running away from the traditional colors and fabrics: a metallic girly dress mixing golden and silver tones; golden clutch; blue shoes to give a pop of color; small earrings and cuff bracelet. For cold days you can add a trench/big coat and tights. This outfit is also a great option for weddings, proms, sweet sixteen parties..
Uma das minhas partes favoritas das festas de fim de ano é me arrumar, investindo em algo chique e elegante. 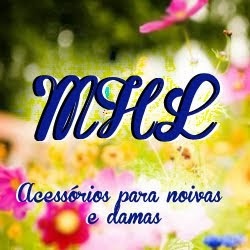 Hoje trago outra ideia para abraçar este mês - um "look moderno", fugindo dos tecidos e cores tradicionais: um vestido feminino metálico misturando tons prata e dourado; clutch dourada; sapatos azul para dar um toque de cor; brincos pequenos e pulseira cuff. Para dias frios você pode adicionar uma trench coat/casaco longo e meia calça. Este look também é uma ótima opção para usar em casamentos, formaturas e festas de quinze anos.. I love the fancy and elegant look. Happy Holidays. That dress is beautiful! Those blue heels are perfect with it! You have amazing taste! stupendo questo abito, molto elegante e raffinato!! I love everything about this outfit, especially those heels! This is breathtaking beautiful, Jessica, I want this dress, I want this dress, it's so gorgeous. #The complete set is marvelous. I follow you and i hope you follow back. I love Lily Collins and her style! Chowing Down by the Bay | Win a French cookbook for the holidays! love this dress and Lily Collins' eyebrows! i love a fit and flare during the holidays! 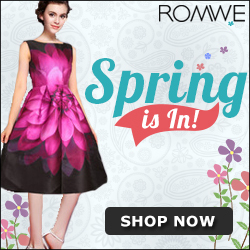 WoW, the dress is so beautiful!!! what i would do for that dress..
That dress is amazing! Love the hint of metallic! Love the cocktail dress, that fabric is a dream! such a gorgeous inspiration post for the holiday! that dress is just DARLING!! Oh my! That's a fancy dress. Fabulous dress! Seems a dream. i love her and this look! so chic! have a nice day honey!!! What so gorgeous doll look:). Love your creates:). TODAY THERE IS AN ARTICLE ON MY BLOG VERY IMPORTANT, AGAINST FUR! That dress is so chic, love it! so bon ton look, I like it! What a cute collection! Love it! This is a killer holiday dress- love it! Oh my! This dress is fantastic. I love all these little 'pearls' you finding for us. Such a great inspiration!